One summer in an artists' commune in Derbyshire something happened that changed the course of Oriana Taylor's life. Having left her childhood home under a cloud when she was just fifteen she returns nearly twenty years later to finally confront the past. While the premise is intriguing, the book is less driven by plot and this is a novel that focuses on the relationships between characters. Shifting its focus in different chapters, the novel explores the complicated relationship between Oriana and the brothers, Malachy and Jed with whom she grew up. 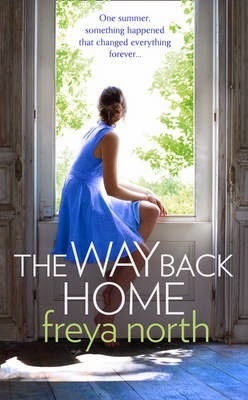 Initially uncertain of her place in England, having lived abroad for many years, Oriana is drawn back to her childhood home and the event that precipitated her departure. Freya North takes her time over the telling of her characters stories and the writing has a contemporary readable style. While the details of what happened when Oriana was 15 years-old remain vague until the final pages of the book, there are obvious clues throughout. While more time could have been spent exploring the effects of being raised in an artists' commune, the author delivers a well-told love story.